The wide foyer and its grand staircase set the tone for Foxfield. The open kitchen joins the café and gathering areas, creating a natural space for relaxing or entertaining. The sizable Everyday EntryTM provides a place for coats and gear, and includes a Pulte Planning Center® for keeping life organized. Upstairs, kids can hang out in the loft, or you can opt to make that an extra bedroom. 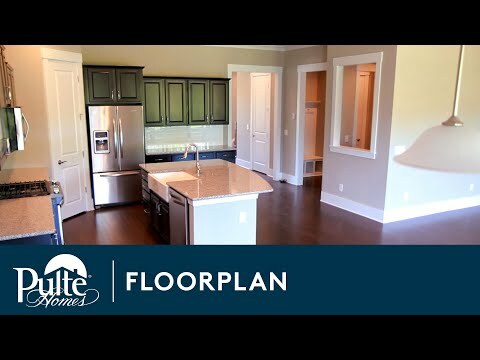 Step inside Foxfield to see the Life-Tested Home Designs® with more usable space where you want it most. So you live the way you want to live. The Foxfield is a home you’ll love to grow into with personal space for up to 7 bedrooms and 5 full bathrooms. If you’re not ready for that many bedrooms take advantage of a home office, game room or your own quiet sanctuary.